Testimonials – Camelot Party Rentals | Northern Nevada's Premier Wedding, Corporate, & Special Event Rentals offering tents, stages, risers, tables and chairs for any event. I have had the privilege of working with Camelot Party Rentals for many, many years, and consider Camelot to be the leader in the industry for equipment rentals, in the greater Reno-Tahoe region. I consistently use Camelot for all my personal and client rental equipment needs, as their products are superior in quality to those found from other equipment rental suppliers. Camelot’s staff is professional, educated and familiar with all their products, and they are always willing to go the extra mile, to assure that my rental product needs are met, and that they have the rental products that either I or my clients need. As a professional wedding coordinator, it is always a delight to receive and open Camelot’s rental items on the job site and discover that each item is in perfect condition, ready to make an important statement for such an important day. Every linen arrives perfectly pressed, looking like new and ready for placement. Camelot’s product quality and their variety of additional rental items is fabulous as well. Their tent set up crew is the best in the area. I recommend Camelot Party Rentals to anyone looking to rent quality party or wedding rental equipment. I value our working relationship and look forward to working with them for many years to come. Anytime I need event rental supplies my first call is to Camelot. They have a great selection in every price range and constantly add new, unique pieces to their inventory. Their customer service is top notch and they are willing to go the extra mile to make sure each and every event is perfect! They support our entire industry and are an example of what a GREAT event rental company should be. I highly recommend Camelot Party Rentals for every event! My husband and I switched to Camelot Party Rentals for our wedding last weekend and we are SO happy we did! We had a wedding for 200 people at a house and we needed to rent EVERYTHING. Deisi and Douglas were incredibly helpful from the initial meeting, right up to our last minute decision to put a tent up over our band’s stage. They were able to problem solve with us to be sure we could fit the maximum number of tables and chairs in our space and every element of the service was great. The team at Camelot Party Rentals is professional, organized and on point! Their front office staff is always friendly and their crews in the back of the house take their jobs very seriously inspecting, cleaning and prepping every item to go back into inventory. Being an event planning and design company in the local Reno/Tahoe area since 2008, our “go to” local rental company has always been Camelot Party Rentals. They have a solid reputation and are quick on quality and execution of event set ups and tear downs. They make our job easier by alleviating stress and a lot less headaches We love the whole crew at Camelot! I have used Camelot for two major events in my life i the last year: my father’s memorial (35 people) and my Commitment Ceremony (125 people). They did an amazing job for both events. The first was a delivery and pick up at the site which was done on time and efficiently. Everything we ordered was there and nothing was broken. The second event we did the pick up and drop off and again had excellent service with help loading and unloading. If you are throwing a big party, this is the way to go for your table settings and service items for sure. The glasses are also a big help. Best of all, you don’t have to wash up, ‘cause they do it for you! One of the specialty items that was even nicer than expected was the 3-tiered silver cupcake stands—very nice, sturdy and they looked beautiful on our cake table! We used Camelot Party Rentals for our wedding. We rented chairs, linen and wine glasses. I feel the price was fair. We did check with the other vendors in town to confirm that. I opted to not do delivery. I recall it not being practical and a lot of cash. We got married in Graeagle, CA which is north of Truckee. I showed up and loaded everything with my truck and trailer. Seamless. Everything was as expected on the work order. I did have 3 broken glasses which the damage waiver covered; however somehow I lost a chair. The damage waiver doesn’t cover loss, just damage. To me that’s one in the same, but OK. they ended up charged me $54 for the chair. Not that they should be giving out items for free, but when you have a customer spend just over a grand, hook them up! But I guess I should have just not lost the damn chair. I would recommend Camelot for any rental needs in the greater Reno area. Cheers. We have used Camelot for everything from formal company parties to hosting networking events to providing goods for non-profit charity events. Camelot and their team from the owners to the employees treat everyone of their customers with care and diligence. They are timely with drop off and pickup. I recommend Camelot Party and Special Event Equipment Rental for any ones special day whether personal and professional as they will provide you the products you need to make the event come off spectacularly. Wonderful customer service this weekend while picking out our rentals for our August 2015 wedding. Mikey worked beside us to help pull samples, so that we could see what the set up would look like on the day of. He was patient, attentive and very easy to work with. We attended the Reno Bridal Faire the following day to see additional items and got to work with Deisi to place our order. She was incredibly patient with all of out questions and changes to our order. The team went above and beyond to help us make sure all of our bases were covered. I’m really looking forward to working with them and seeing everything come together in August. 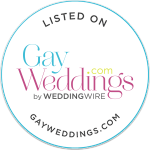 We ordered our chuppah and chargers from here and I must say WOW! What amazing customer service. They were so professional, prompt and kind about everything. I even changed my order twice and they were completely flexible. Will recommend to anyone! We recently had our wedding in the Tahoe area and Camelot came to the rescue. They rented us a giant tent as well as all the plates, glasses, chairs and tables that we needed. The thing that made our experience with Camelot perfect was the service we received from them during set up. They came to our remote location right on time and worked through the day to set everything up perfectly. They suggested some changes that made a huge difference to the appearance of the tent and when they were done we were literally awed by the finished product. They constructed the perfect venue for our wedding, and did so with grace and professionalism. I highly recommend them for a wedding in the Tahoe area. I originally went to All Occasion Party Rentals and they dropped the ball big time 2 weeks before my wedding! I immediately went to Camelot and the store supervisor, Jillian, was absolutely amazing! She worked with me for 3 hours trying to find everything I needed and even when they didn’t have something, she referred me to the competitors to make sure I had everything I needed for my event! That is truly the way a company should operate and they are lucky to have her on board. It was stress-free and they did everything they promised they would. Thank you!!! We used Camelot Party Rentals for our Tahoe wedding this past Sunday. Leading up to the wedding, we visited their office to ice our rentals. Everyone in the office was extremely professional, easy to work with, and knowledgeable. On the big day, the whole crew was prompt and professional. Everything was set up according to the schematic we drew up and looked fabulous. We chose Camelot for our Tahoe wedding because of the quality of their rentals (which we thought were much nicer and cleaner than other vendors) and their reputation for professionalism. We would highly recommend them to anyone for any special event. Thank you Camelot, you guys were awesome! My husband & I worked with Camelot for our wedding in North Lake Tahoe, CA in July 2018 and are incredibly thankful we did! First of all, the customer service was fantastic. We worked with Katarina from start to finish and she was SUPER helpful. Camelot hung market lighting over our reception area at our venue – after doing multiple price comparisons, they were the most affordable vs. other companies & were also highly recommended by the resort where we were married. We had a few different ideas as to what we wanted to do with the lighting, and Katarina and her staff developed several pictures and layouts for us so that we could determine exactly the “look” we were going for. When we called the office or e-mailed to ask her a question, she always knew exactly who we were and what our event was, was constantly organized and efficient, etc. Camelot made the planning process so much more enjoyable for us and we LOVED the finished product! Thank you, Camelot & Katarina!! These guys were AWESOME! I planned my wedding myself, and given it’s my first time, I had to make a bunch of changes. I was working with Deisi at the office, and she was incredibly patient and accommodating with all of my questions and changes. She was absolutely great! They also have a TON of options, and the clear tent that I’d always dreamed of having at my wedding. And the guys who came to set up were great too! I live 3 hours away, and they were at the venue right on time to start set-up, and were incredibly patient given that the sprinklers were on and not marked when I got there. I’d been assured all of the was taken care of 2 days prior, but they weren’t at all phased or upset about needing to wait a little or about setting up on soaking wet grass. They also arrived with a different layout than what I’d sent the company, and were totally accommodating. They worked quickly and professionally and got the tent, chandeliers, lights, tables, dance floor, chairs, bar, etc. set up far faster than expected. They also arrived right on time to tear it all down the day after the wedding. It was really really nice to have one truck and a bunch of guys show up and set up 90% of it (including setting up the chairs for the ceremony), then come the day after and take it all away! I would rent from them again in a heartbeat! We loved Camelot! We were very happy with the service they provided! We used them for market/cafe lights outdoors on a deck/back patio area. We showed them some ideas of what we liked and they achieved it perfectly! We used them for an outdoor dance floor, which they placed in a great location! And, we rented cocktail tables & linens from them. Everything was set exactly how we wanted and they were the most affordable/best selection we found for these rentals! Very easy to work with! I’d highly recommend them! We used Camelot Party Rentals contracted through the Nevada Museum of Art so this review is solely based on the quality of products because we did not deal with Camelot directly. The rentals we used included white folding Samsonite chairs, black chiavari chairs with black cushions, black lamour tablecloths and white lamour napkins. All of our rentals were in pristine condition. There was little or no visible wear on anything (that we noticed). Our main concern was that the white lamour napkins wouldn’t be the whitest white, but they were! We are very happy with their products and will be using them in the future.